At Country and Coastal Lettings, we pride ourselves on being one of the most affordable options in letting your property, whilst giving you an unparalleled, professional and quality service. Our motto is not that you get what you pay for, rather … ‘You get more than you pay for!’ Our friendly, helpful and professional service offers Landlords the peace of mind that comes from knowing a reputable agency is looking after their most valuable possession, their property. 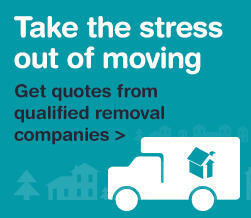 At Cubitt & West we want your move to be as easy, straightforward, and stress-free as possible. We also strive to get you more buyers – and this is why your property details will be passed between 100+ branches across Kent, Sussex, Hampshire, Surrey, London, Essex and even the Isle of Wight! We also know the value of presentation – that’s why we use professional photographers to capture your home at its best every time. We are Treagust & Co, Emsworth's leading independent estate agency serving Emsworth and the surrounding towns and villages, offering exceptional service and value for money. Our experienced team take pride in offering a full, high quality local estate agency service from our chic double fronted Victorian office in central Emsworth.